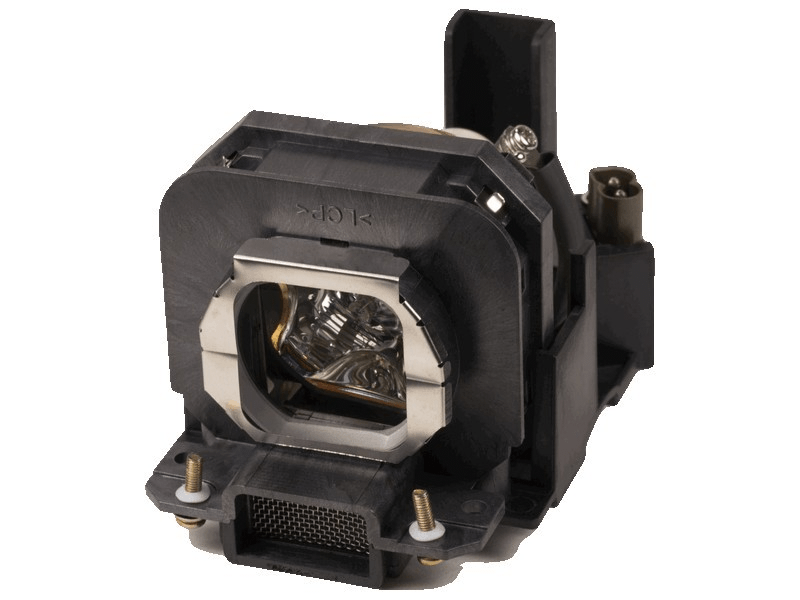 The PT-AX100U Panasonic projector lamp replacement comes with a genuine original 220 watt Philips brand UHP bulb inside rated at 2,000 lumens (brightness equal to the original Panasonic replacement). The PT-AX100U lamp has a rated life of 2,000 hours. Our PT-AX100U Panasonic lamp replacement has superior brightness and lamp life than other cheaper generic replacement lamps being sold elsewhere. Purchase with confidence from Pureland Supply with a 6 month warranty, 5-star Google rating, and free same day UPS ground shipping. PT-AX100U Panasonic Projector Lamp Replacement. Projector Lamp Assembly with High Quality Genuine Original Philips UHP Bulb inside. This Panasonic lamp arrived on time and was actually a better quality than the last "original" lamp we tried. Very pleased with the service we receive from Pureland Supply and would recommend them to anyone in need of a projector lamp.